“Sleigh Ride”, “Have yourself a merry little Christmas”, “What are you doing New Year’s Eve?” and many more, both standard and lesser-known tunes. 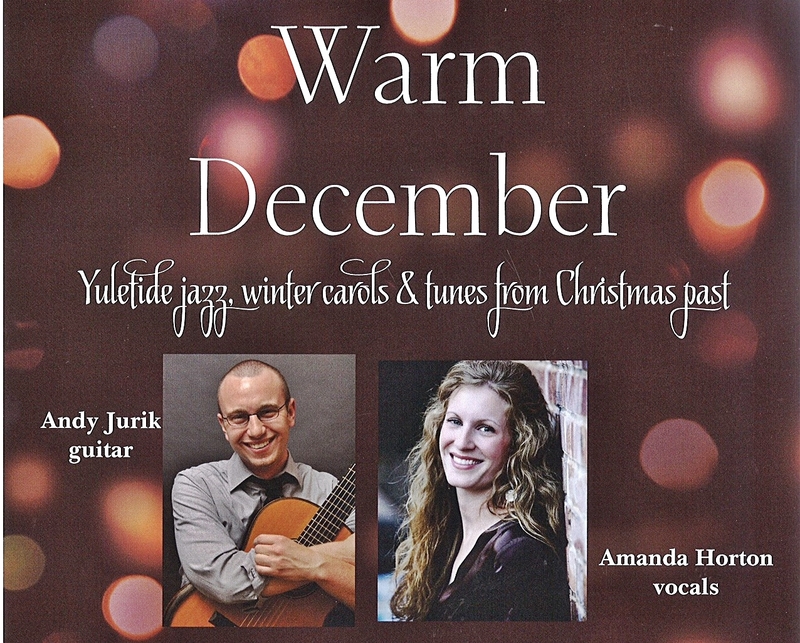 Asheville musicians Andy Jurik (guitar) and Amanda Horton (vocals) present a program of heartwarming holiday jazz. Featuring all original arrangements by Jurik, the intimate evening includes creative takes on holiday standards, haunting winter carols, and combines unexpected songs from cinema, country music, classical guitar and Broadway. We hope to provide an evening of humor, nostalgia, hope and warmth in the midst of a hectic and uncertain winter season. Amanda Horton performs frequently across the region in cabaret, musical theatre, opera and symphonic repertoire. Her 2016 calendar includes 1940s pop standards (“Live from the USO”), art-song cabaret (“Songs of Innocence and Wisdom”) and guest soloist with Asheville Symphony Orchestra and Long Bay Symphony. Andy Jurik has performed on the ASCAP-award winning Southern Exposure concert series, the Southern Guitar Festival, the Charleston U.U. Candlelight concert series, and the JASPER Artists of the Year awards (Columbia, SC). He recently completed his D.M.A. at the University of South Carolina where he was twice awarded the Graduate Creative Performance. 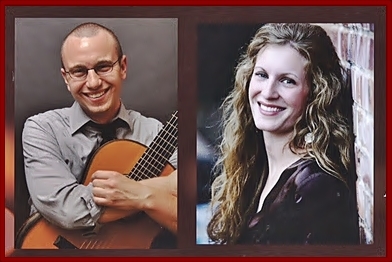 Andy currently serves as a co-director of the Asheville Classical Guitar Society.